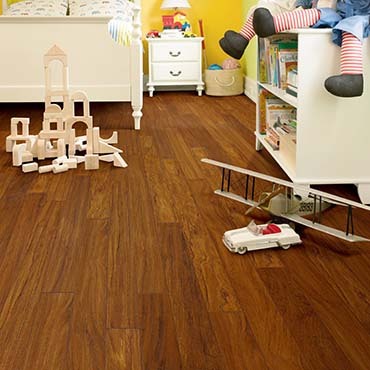 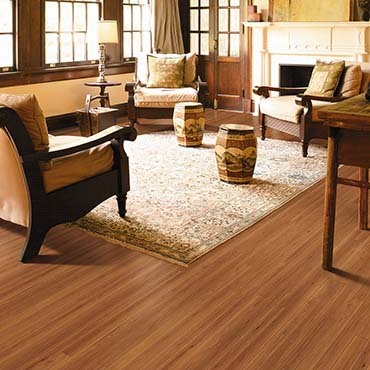 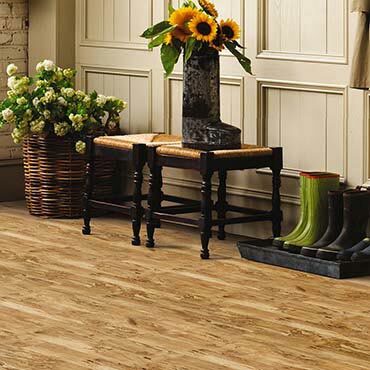 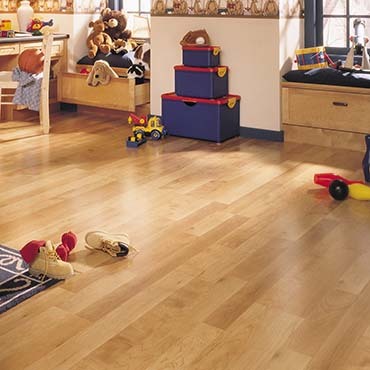 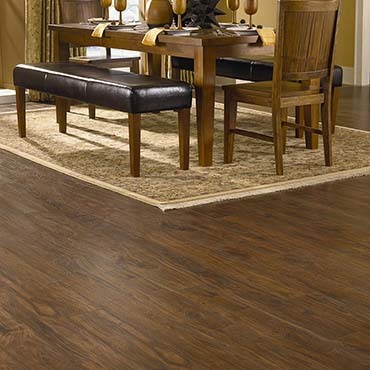 Mannington Laminate Flooring brings you beauty from the world over. 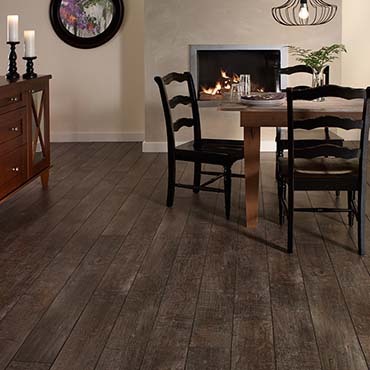 Imagine adding the character of Distressed Heart Pine, an Antique Barn Oak, or the elegance of slate, stone or travertine to your home. 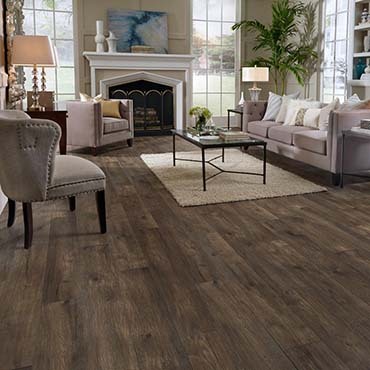 With Mannington's latest proprietary process, NatureForm Optix™, they've combined the beauty of nature with the latest advances in printing, texturing and finishing, creating unparalleled realism and the most realistic laminate flooring ever. 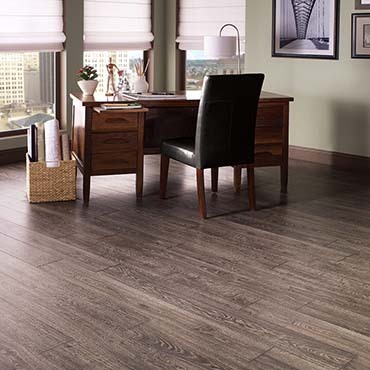 Mannington used their expertise at making hardwood floors to create laminates in the wood styles and tones people prefer most. 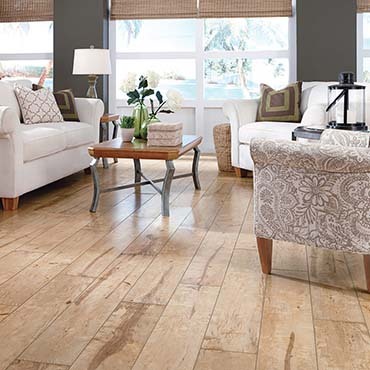 They even went a step further by pioneering a proprietary process of printing, texturing and finishing that captures original source materials like natural stone and wood with exceptional crispness and depth of color, found in both our Revolutions™ Tile and Plank collections. 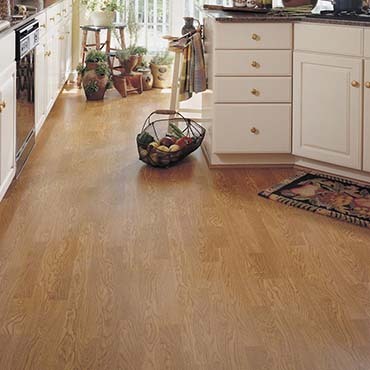 Typical high-pressure laminate floors use glue to hold the plastic laminate to the core - glue that can sometimes come unstuck. 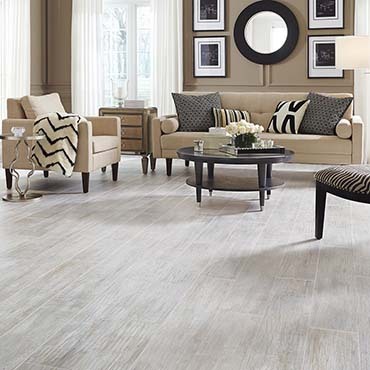 But Mannington's ThermoComposite™ technology lets them replace the glue with thermal-set plastic resins that are forced through three surface layers and deep into the fibers of our EcoCore®. 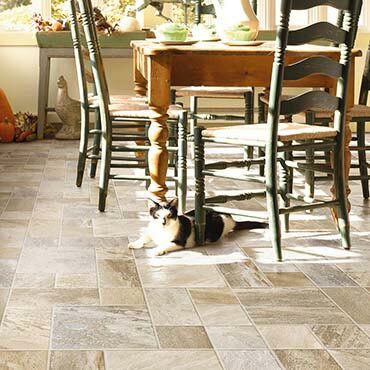 No peeling here! 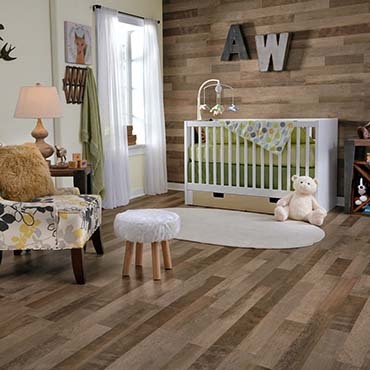 This EcoCore®, made from recycled wood materials, is a super-strong, high-density fiberboard that withstands denting-even from the heaviest piano. 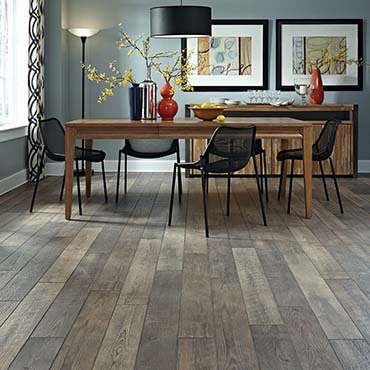 Mannington's melamine surface gets its incredible durability from aluminum oxide. 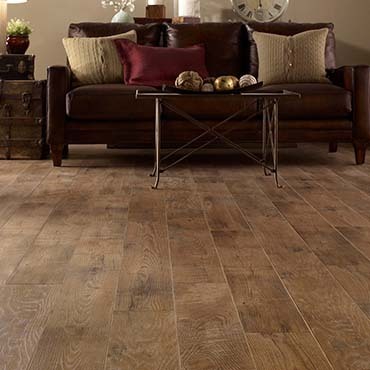 Second only to diamonds in hardness, aluminum oxide provides unsurpassed wear and stain resistance. 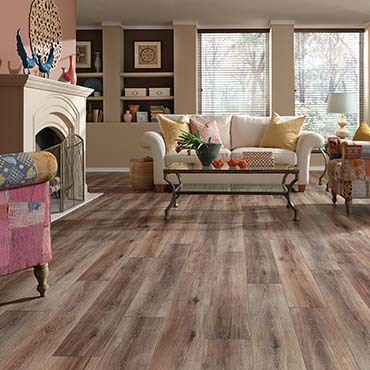 Many of their patterns also feature a built-in finish that improves your floor's resistance to every-day wear-n-tear and helps make clean-up a snap. 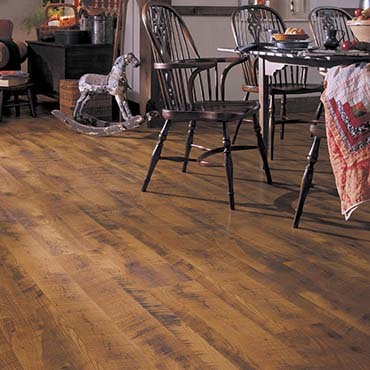 No floor comes closer to true maintenance-free performance. 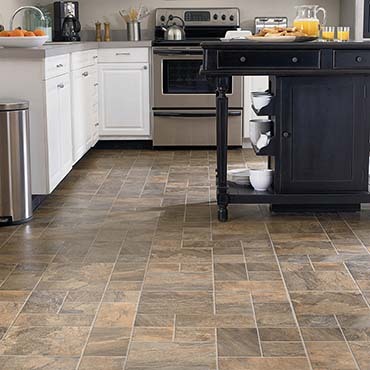 Ordinary vacuuming or sweeping is usually all it takes, with occasional wiping with their Mannington's Award Series® Cleaner. 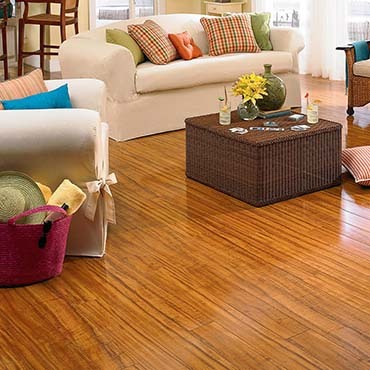 Spills happen, but their floors take them in stride. 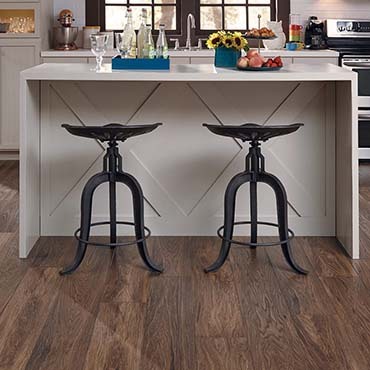 Juice, wine, grease, and chocolate are easily wiped away. 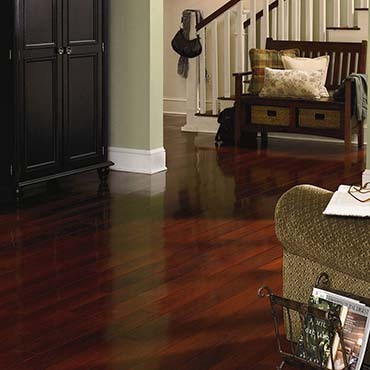 Cigarette burns, asphalt, shoe polish, paint, ink, crayon, and nail polish come clean with alcohol or nail polish remover. 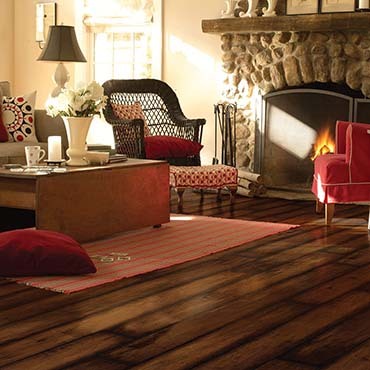 Candle wax and chewing gum can be gently scraped away. 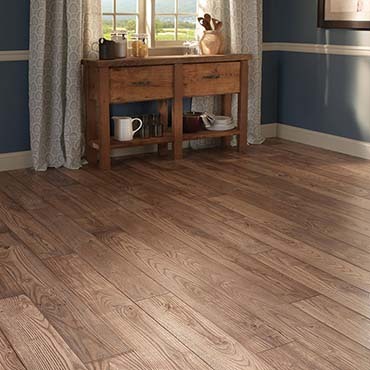 Mannington is designed to be laid as a "floating floor" above your existing floor (except carpeting, of course) without nails or glue. 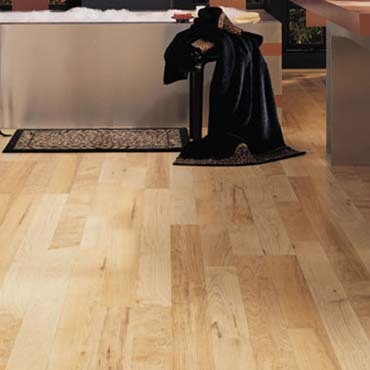 The only glue ever used is between the planks in the joints, which fit tightly together with a precise tongue and groove design. 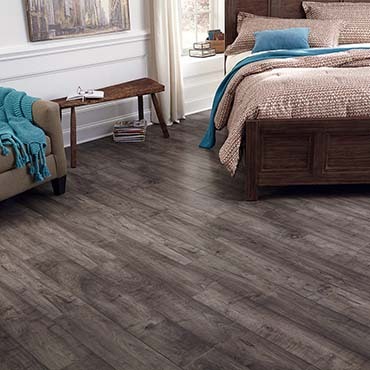 Mannington Hush™, AquaBarrier™ and ComfortBarrier® underlayments are very easy to install and keep out moisture rising from the subfloor, provide padding for walking comfort, add heat insulation, and dampen noise. 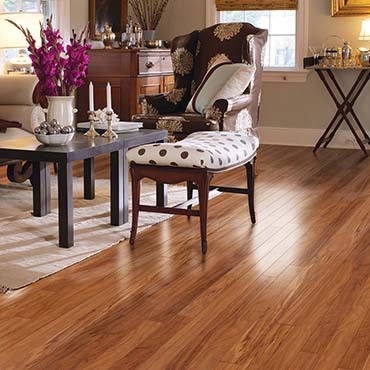 And, they offer a complete package of trims and moldings manufactured to match and enhance the appearance of your floor.